Tamils are likely to become the worst victims in Sri Lanka’s political crisis, Tamil National Alliance (TNA) leader R Sampanthan said today. 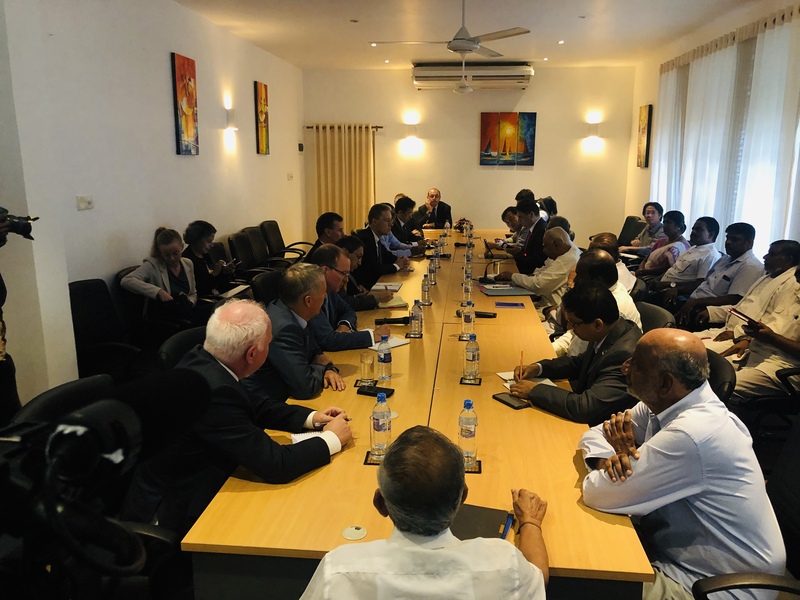 Speaking to media after a meeting with heads of diplomatic missions in Colombo, the party leader said “the country’s minorities, especially Tamils, may become the victims,” according to The Hindu. The turmoil had seriously impaired ‘ongoing efforts’ for a political solution through constitutional reform, Sampanthan said, adding that the possibility of resolving key Tamil concerns i.e. release of military occupied lands, release of political prisoners, enforced disappearances and reparations, had been seriously called into question. In their 2015 general election manifesto, the TNA had called for constitutional changes that accepted the Tamil people’s right to self-determination, with calls for a political solution that merged the Northern and Eastern provinces and devolved powers of land, law and order, socio-economic development, cultural affairs and domestic and foreign fiscal powers and direct foreign investment in the North-East under a federal structure.